For my internship, I went to Shanghai for four weeks to experience the work at iwis, a company specialised in precision chain solutions. 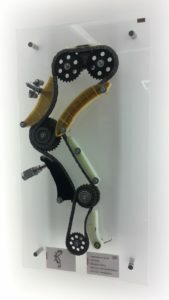 At their branch in China we mostly got to see the work they do for automotive manufactures, as they produce the timing drives in car engines; however they also develop systems for mechanical and plant engineering, the packaging, printing and food industries and industrial conveying applications. During my time at iwis, a fellow TUM-Kolleg student and I were lucky enough to see both the head office located in the city of Shanghai and the plant outside the city in a town called Pinghu. But not only our location changed, our place of work also changed frequently which allowed us to get to know many of the departments, types of work and colleagues within the company. 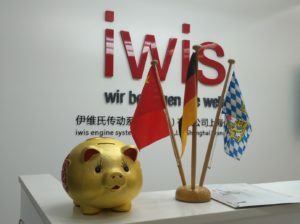 The first week of our internship began in the department for finance in the Shanghai branch office. We organised the invoices oft the last month to their records in order to archive them. Right the next day we started in Research and Development, where we could amongst other things help with the formatting of photos, the writing of their analysis reports and the translation of German reports into English. This was how we really got to know the products that iwis produces in Pinghu for the first time, which would prove useful in the following weeks. On our last day in the office, we also got to know the department of Purchasing. Here we completed a report about the price changes by the suppliers in the last months with data from the SAP-system, which we had already learned to use the days before. During this first week, our typical work day would mean going from our hotel to work by bus and then taking the bus to the train station in the evening to go into the city to see as much of the city as we possibly could. 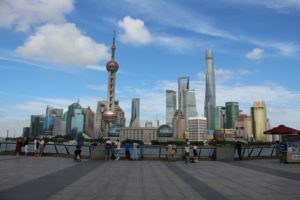 We went to the famous Bund, the long boulevard that runs along the river, the old city, walked the Nanjing road, marvelled at the skyline by night and got to try amazing new food. 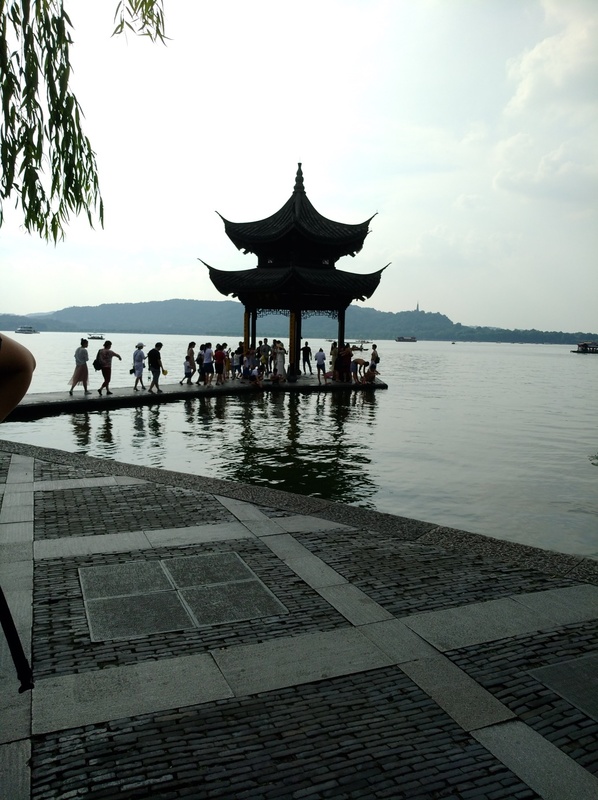 When the weekend arrived we used the chance to take a train to Hanzhou, a city in the south-west of Shanghai, located at the big west lake. 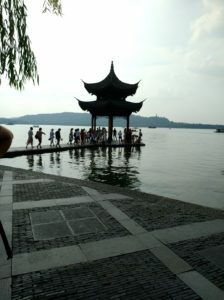 There we experienced Chinese life outside the big city, saw tee gardens, temples and other beautiful architecture. After the weekend we started work in the plant in Pinghu. Our boss Justin kindly took the time to show us around. This meant we already had an overview over the departments we would be working in in the next weeks and already got to know a few colleagues. On Monday I started in the quality department. After I had helped with the packaging process the first afternoon, my work consisted, for example, of putting together an information board with the test results of the last months or transcribing handwritten protocols into Excel. After three days I changed into the laboratory and was able to see the non-administrative work of the quality department, which was closely linked to the work I had already experienced the week prior in the R&D department. I measured and photographed products that were sent back from customers such as BMW. Afterwards, the information had to be compiled and send to the engineers. It was especially fascinating to handle the machines for the measurement and to see the parts I had only gotten to know on paper before. My work at the beginning of the next week was still varied, for example, I spend one day cataloguing all the tools and appliances in the plant and checking their inspection-license, which was a very good way to get to know the premises. Wednesday I was then transferred into production, where I had jobs such as recording the movement of products into the SAP-system, adding the new inventory numbers to machines. I actually got to stand behind some of the machines myself, for example, the laser and the machine for tensioner assembly. Other jobs such as organising the issues of the iwis company paper where also delegated to me. During my last week I continued to work in Production and got to help repairing and maintaining the machines, I also filled in information boards and formatted work instructions. Overall I would say that the internship at iwis has opened my mind to the possibility of working in a similar field of work as some of my colleagues there and to working abroad during my career. I learned a lot about the mechanics of the car engine and how much work and care has to go into creating a single system in the engine and into running a company of this size. I was very impressed with the motivation and enthusiasm the employees had for their work in the company. The weekends during our time in the plant we used to go sightseeing and so we experienced the city of Shanghai from above, at the Oriental Pearl Tower, saw the Yu Yuan-Garden, Peoples Square, the Jade-Buddha-temple and many other amazing places. We even took a trip to the sea and explored Pinghu, which has a beautiful scenery at its centre, a big park that frames a small lake. Thank you to all our colleagues at iwis who were so kind to us and let us take a peek into their work, especially to Frau Hahn who was our contact person at iwis, for always being open to our questions and likewise to Joys Wang for doing the same for us in China. 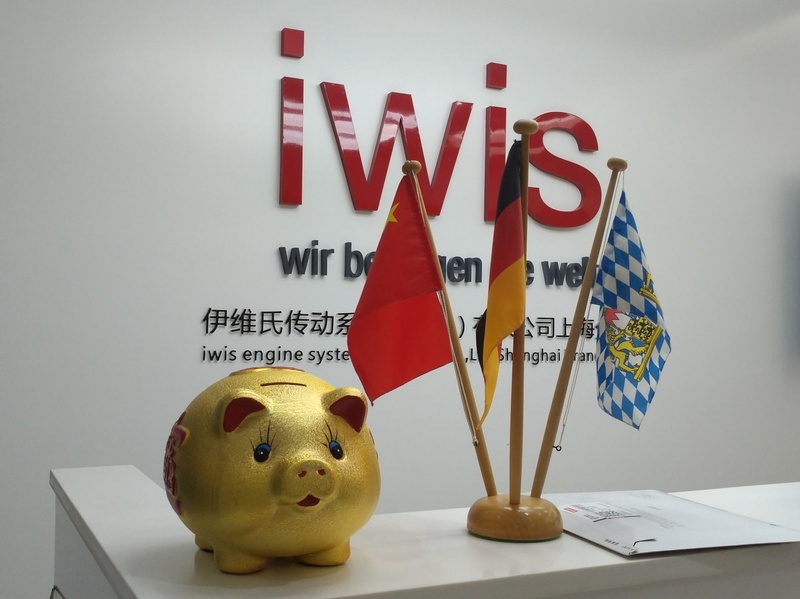 Thank you to Huang for driving us into work in Pinghu and to Maxi for giving us tips and an insight into the life of a German living in China.